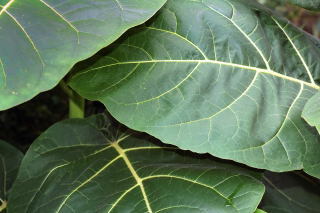 Apart from bananas and canna, there are of course plenty more tropical foliage plants for you to choose. The plants mentioned below have all been selected because of their good nature. They are easy to grow and in most cases inexpensive to produce on an annual basis. 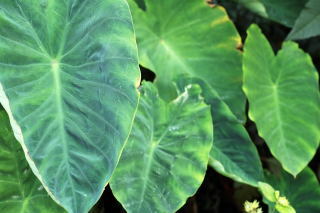 Known by some as the elephant ear plant, by others the eddoe and by scientists as Colocasia esculenta var. antiquorum. 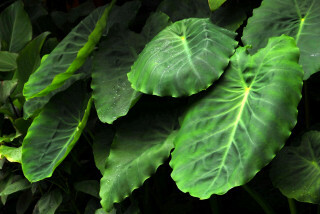 Also known as the elephant ear plant to some, to others this is the coco yam and to the scientists a straight forward Xanthosoma sagittifolium. Another nice group of lush foliage plants are the hedychiums or ginger lilies. 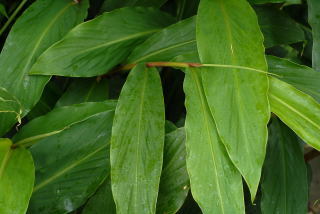 The plant featured here is hedychium 'maximum'. 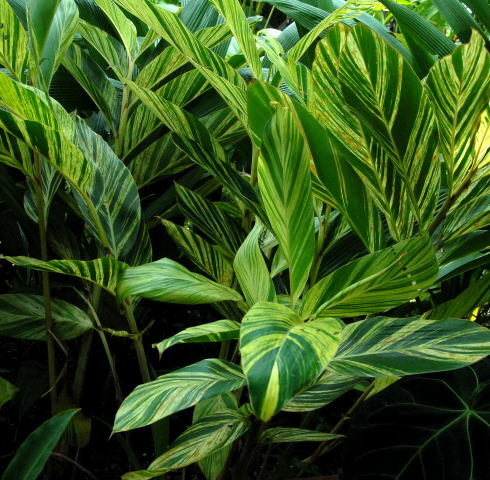 As with the hedychium featured in the above picture, Alpinia's are also plants belonging to the ginger family.The plant featured here is Alpinia zerumbet 'variegata'. Probably just a bit too slow growing for the temperate tropical style garden. Ricinus communis, the castor oil plant is one of the fastest growing foliage plants you can use. It produces highly toxic seeds (popular with terrorists) but is pretty safe in the garden. 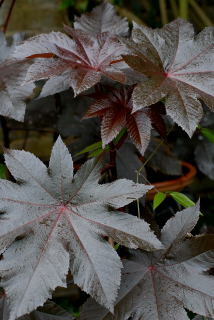 The plant featured in this picture is Ricinus communis 'New Zealand purple'. 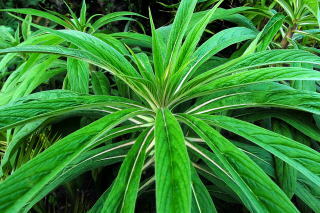 Once described Echium pininana as sinister by a garden visitor. 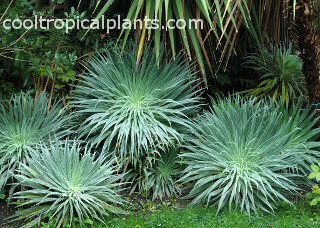 This plant contrasts well with the more standard tropical plants. A bit of a weird plant really. Cyphomandra betacea the tree tomato produces large nicely veined leaves. 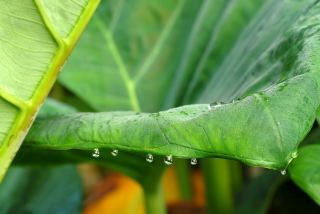 This plant also contrasts well with the more lance shaped leaves. 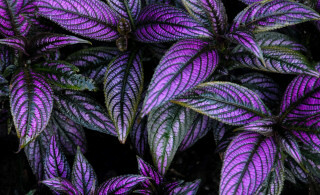 Persian shield - Strobilanthes dyerianus A shade loving, colourful foliage plant for pots or in the border. Tender, but is easy to overwinter as cuttings.